#BirdofMouth student blogger Lily Nedland is a junior public relations major. You’ve probably heard all about Greek life on your different visits and tours, but how do you know which sororities exist at Illinois State? How do you know which is the right fit? What exactly is recruitment? Here are some answers to some common recruitment questions to help you understand what it means to Go Greek. 1. WHY SHOULD I GO GREEK? Transitioning from high school to college can be difficult, and joining a sorority is a great way to ease into your new normal. You will form bonds that will last you a lifetime, and gain experiences you will never forget. Most importantly you will find a place where you can be the best version of yourself every minute of every day. Fraternity and sorority members make up 10 percent of Illinois State’s undergraduate students, spread across more than 30 chapters. 2. HOW DO I SIGN UP? Here at Illinois State, recruitment for our 10 collegiate sororities in the College Panhellenic Council takes place during the first few weeks of the fall semester. Registration for formal recruitment typically opens in June. Check the College Panhellenic Council Facebook page, website, and Twitter for the registration link. There is usually a $50 fee, which includes a T-shirt and lunches for all days. 3. WHO WILL HELP ME THROUGH RECRUITMENT? The recruitment process can be complicated and overwhelming for many women who go through it. For this reason, each potential new member (PNM) is placed with a Rho Gamma. A Rho Gamma is a member from various Panhellenic chapters who has disaffiliated her membership for the recruitment period. They provide any unbiased advice or guidance that PNMs may need. Lily, left, is a member of the Delta Delta Delta sorority. This photo is from her Bid Night in 2012. 4. WHAT IS RECRUITMENT LIKE? Illinois State offers formal recruitment that takes place over six days with five different rounds. 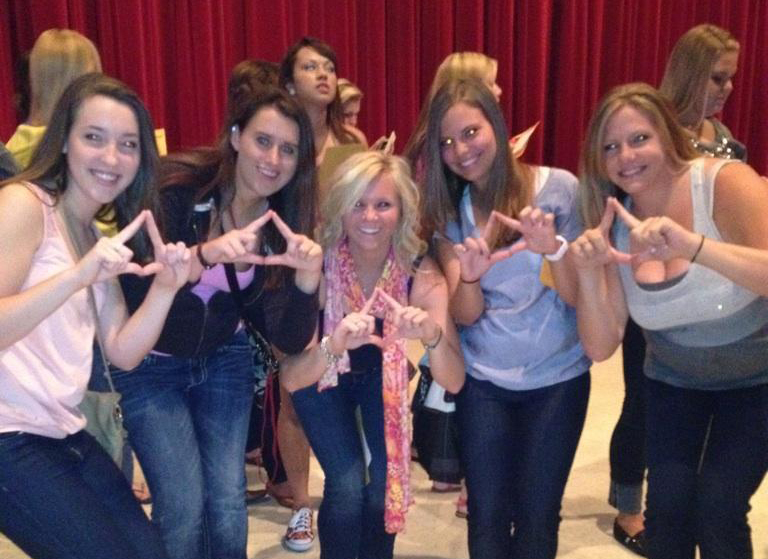 Formal recruitment is the primary means of joining a sorority at Illinois State. Day One and Two: Welcome Rounds. These 30-minute rounds give PNMs a chance to go to all 10 houses. Day Three: Philanthropy Round. Each chapter gets a chance to tell PNMs all about their national philanthropic cause. Day Four: Sisterhood Round. Women get to tour the chapter homes, and learn a little bit more about the sisterhood of each home. Day Five: Preference Round. During this round, PNMs only visit two chapter homes, and at the end of the day must make a decision of where they would like to join. Day Six: Bid Night. Chapters extend invitations of membership to women that they would like to become part of their sorority. I hope this gives you a good idea of the sorority recruitment process at Illinois State. Stay tuned for more #BirdofMouth posts about fraternities and more Greek life. Learn more and get answers to additional FAQs on Fraternity and Sorority Life’s website. 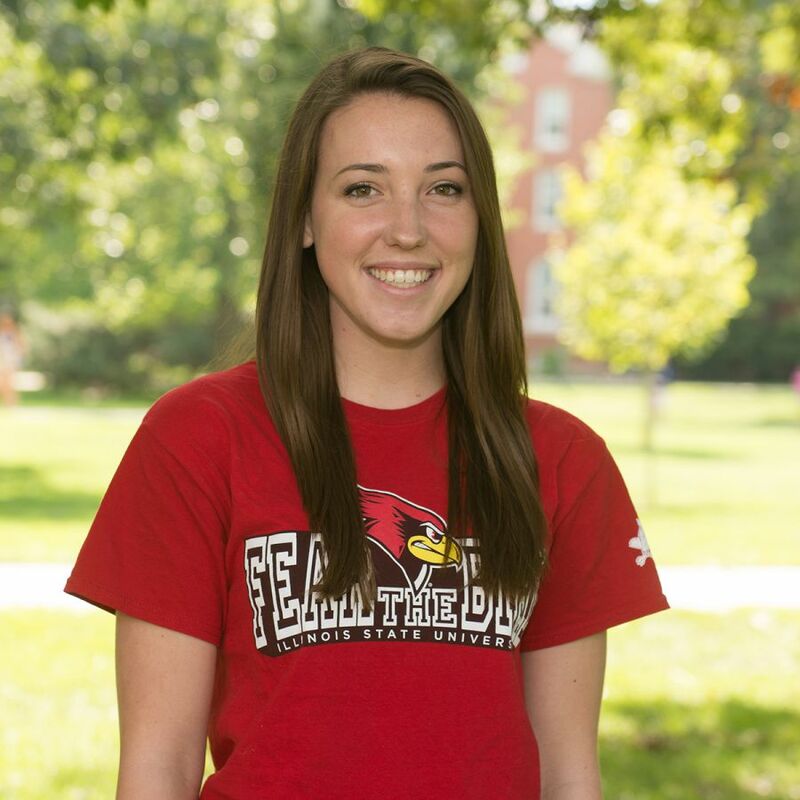 #BirdofMouth student blogger Lily Nedland is a junior public relations major. Read more #BirdofMouth posts.